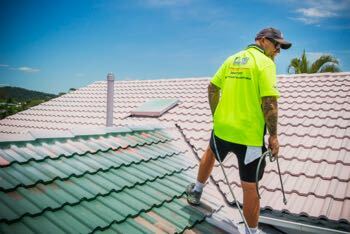 How To Choose A Roof Restoration Company. What To Ask A Roof Restorer. 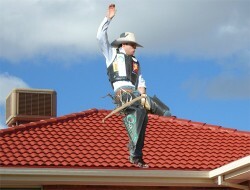 There is certainly a lot of Cowboys in the roof restoration industry. We hear time and again from our customers about the bad experiences they’ve had with roof painters who offer cheap prices for roof restoration, only to be ripped off when the job has been done. To help you out, we’ve created this list of questions to help you figure out how to choose a roof restoration company. 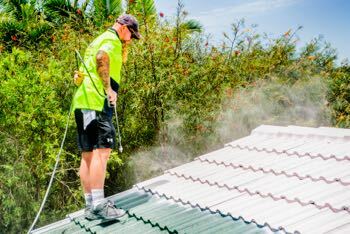 This might sound basic, but did you know that so many roof restorers are just labourers who have taught themselves how to paint a roof? So before you let someone get up on your roof, make sure they are licensed! This means going to the QBCC website and doing a check on their licence. Our licence number is 1042590. We encourage you to look into our licence and you will see we’re licensed for painting and decorating, roof tiling & roof and wall cladding. When you ask about insurance, make sure to check what type of insurance they have, and for how much. For example, you should enquire if they have a public liability insurance policy. Ask to see the policy and make sure it’s in the name of the company doing the work. We’ve seen a number of companies trading without proper insurance. If either of these don’t look right, DON’T RISK IT. You may lose any recourse for cover on a shonky job. 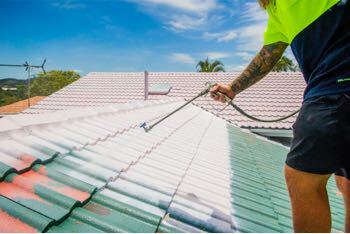 Does Your Roof Paint Come With A Warranty? Some roof paint manufacturers won’t guarantee that their product can stand the test of time. Some of these products won’t last more than a couple of years in the harsh Australian sun. Our preferred roof paint manufacturer is Industrial Roof Coatings. They offer a 12 & 15 year warranty to their accredited applicators. Happily, we are fully accredited members and can offer up to 15 years warranty on their 4 coat system. Once you’ve had someone out to look at your roof, take a really good look at their quote. This will help you decide how to choose a roof restoration company. Does it include GST? If not, something is definitely up! Will it include changing out broken tiles? How many coats of paint are included? There should be a minimum of a 1 x coat of primer, 2 x coats of paint and optional clear glaze. Does it include the necessary repairs, not just painting? Will it include before and after photos? These things are like sign posts of a good job. If they’re missing, it means they aren’t going to do a job. See below a copy of one of our quotes. You can clearly see those elements are there, including details of our roof report. 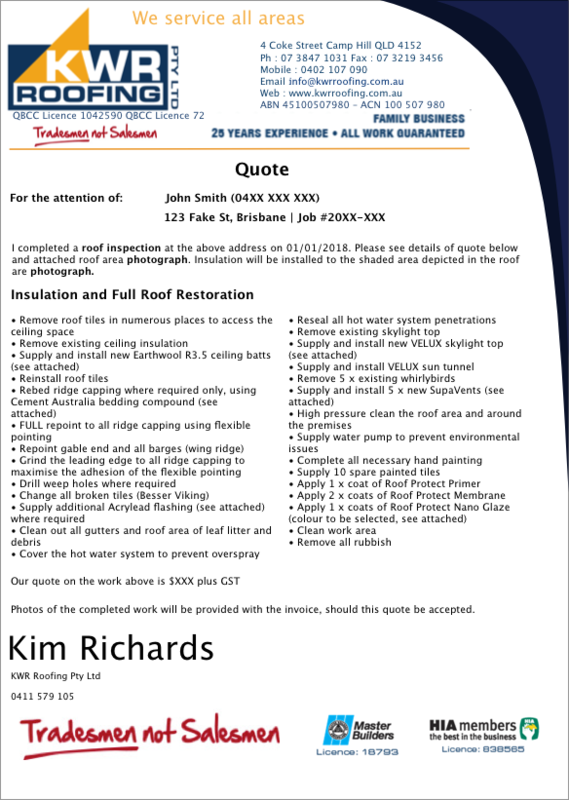 To see more about our roof restorations, click here.